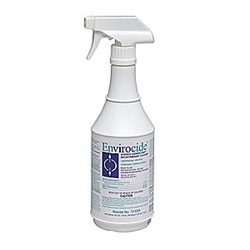 Envirocide multi-purpose cleaner and disinfectant liquid. Manufactured by Metrex Research. Comes in a 24oz. spray bottle.